So about 2 weeks ago, I was invited to My Cozy Room Boutique Spa to experience their signature My Radiance Facial Treatment. 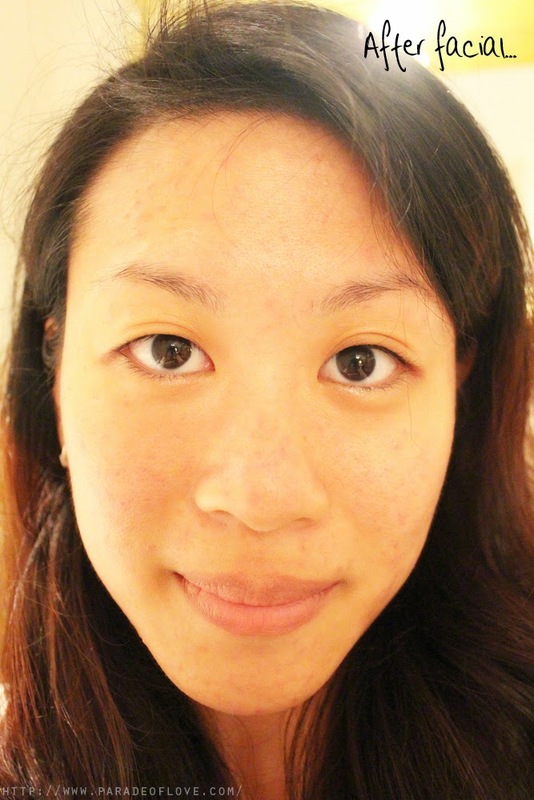 The treatment came in timely because my skin was seriously breaking out due to all the travelling in Perth. 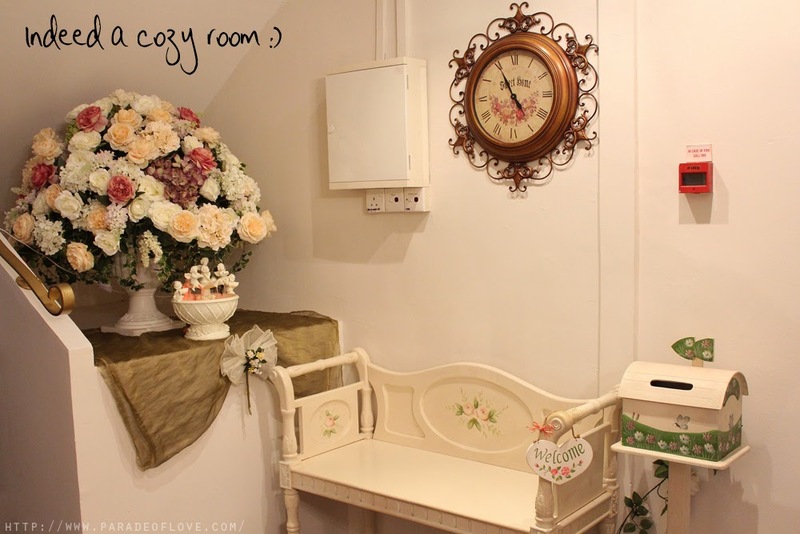 Housed along the row of pre-war shophouses along Cairnhill Road (behind Paragon), My Cozy Room is a one-stop beauty and wellness boutique that brings you pampering treatments including spa indulgence, facial treatments etc. When I stepped into the boutique, I was immediately welcomed by the lovely staff while being greeted by a royal sight! I kinda forgot to snap a shot of the exterior but I’ll input the map for directions on how to get to this place at the end. Here is how the cozy waiting area looks like! Isn’t it really sweet and all welcoming? 😉 I really love that huge bouquet of flowers! I was first being served some tea that tasted a little bit like longan, but I didn’t bother asking because I was shortly brought to my treatment room upstairs. 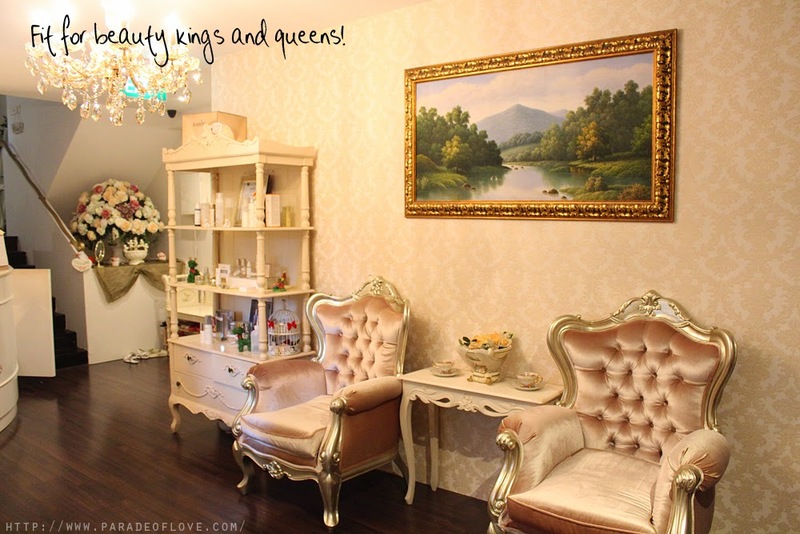 Following the theme of the entire boutique, the rooms, of course, were made to look all royal and lavish. Even though it has that royal feel, it doesn’t stray from being cozy in which this boutique spa strives to achieve. 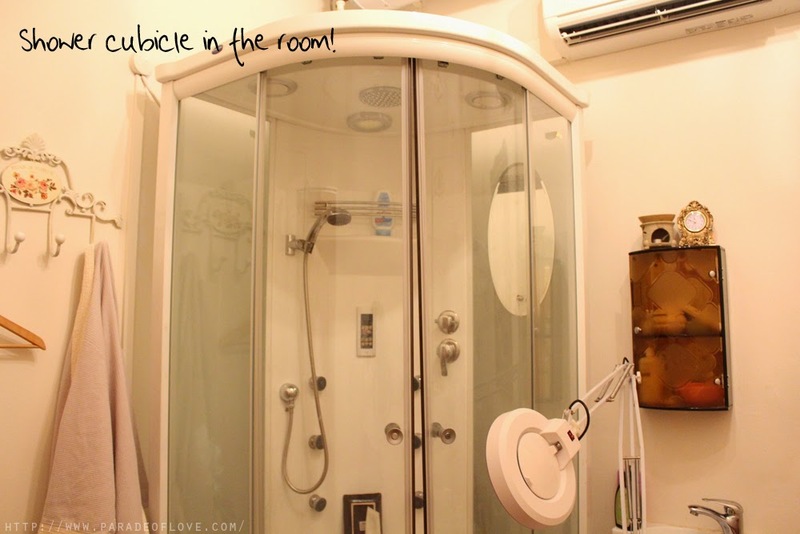 The interesting thing about this particular room is that there is a showering cubicle right inside it! I’ve stepped foot on several spa boutiques and this is definitely the first I see that you can totally shower and change here! I cleared my curiosity with my friendly therapist, Ivy, and she told me that customers can shower before and after their spa treatment for hygiene purposes. I don’t know about other spa boutiques but this was quite an impressive sight for me. Say hi to Ivy, my skilful and amiable therapist! She was helping me to remove my makeup using products from Germany’s No.1 professional and effective skincare brand, Babor. It felt very fresh and rejuvenating with the light, clean scent. My Radiance Facial Treatment consists of several steps, inclusive of a welcome massage (Ivy did point massage on me due to my acne-prone skin), cleansing, extraction, crystal eye massage, mask, eyebrow trimming (yes, they include it for free in every facial session! ), facial, neck and shoulder massage. I absolutely love her massages because she just knows the right spots to apply pressure on! The massages were what I was excitedly looking forward to in my half-asleep state in the relaxing and cool environment. As always, the extraction step is the one that I dread the most in every facial treatment. With skin that’s prone to clogging, I knew that it was going to be a hell lot of pain and tearing. Just look at my skin! In fact, the process was a lot more painful than I thought it would be as Ivy was really pricking out all the clogs from my pores. I thought that she could start off with the not-so-painful ones first before increasing the intensity instead of just going in no direction. That would probably help ease my pain and make my extraction process more enjoyable. 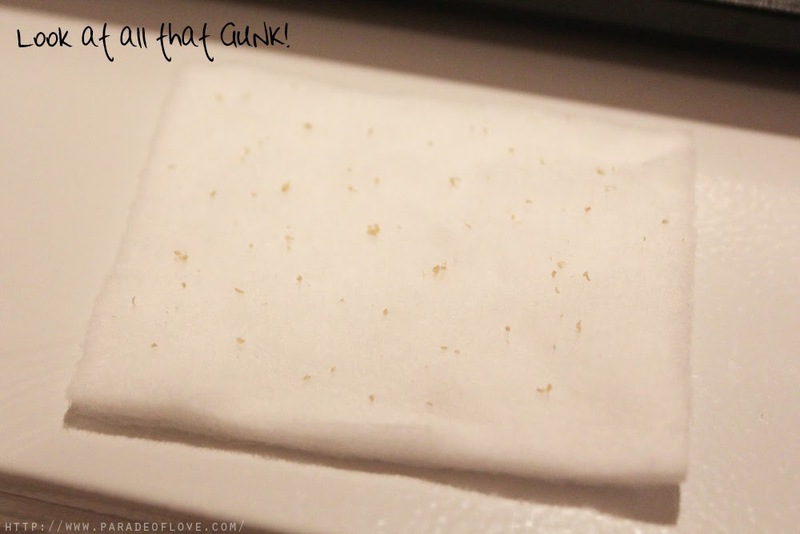 Well, I guess all that pain paid off with this amount of gunk removed from my skin? D: It’s really disgusting and I’m glad I bade goodbye to ALL of them with this piece of cotton pad. Basically after the torturous extraction process, I was too tired to take any photos so I just slept throughout the cooling mask and massage steps. You could say what came after the extraction were pretty much relaxing and soothing. Another plus point from this facial is that, despite the painful extraction process, my skin wasn’t too red and I felt all relaxed from the super awesome shoulder massage by Ivy! This isn’t the most flattering photo of me (probably one of the worst) but here you can see there wasn’t much redness after the facial treatment! Hehe, I would come back if the price of the treatment wasn’t so steep. It’s priced at S$168 if I remembered correctly. Oh well, I guess most facials are priced in this range now. Time to earn some money! 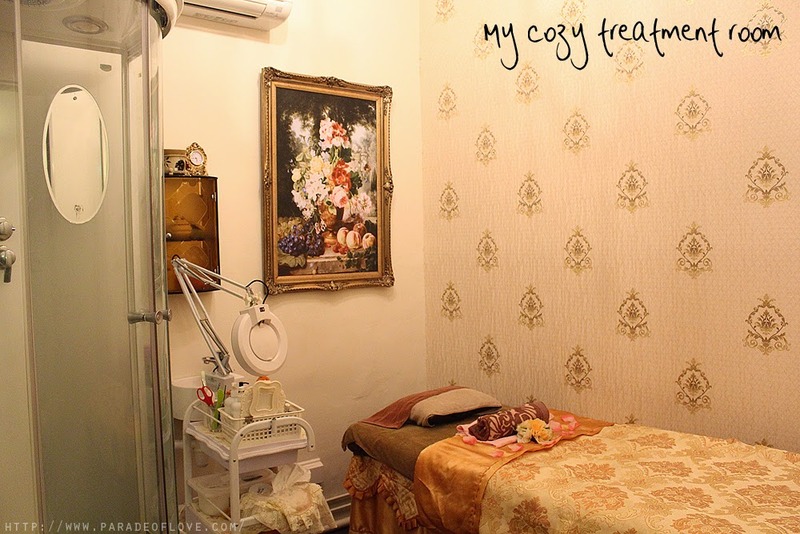 Disclaimer: Treatment was invited by the team from My Cozy Room for review. The above review is based on my true and honest opinion without influence from others. It also contains information from the brand itself.